The idea occurred to designer and engineer Bryan Boyer during one of those times we all have where we are sitting at home thinking of ways to celebrate slowness. 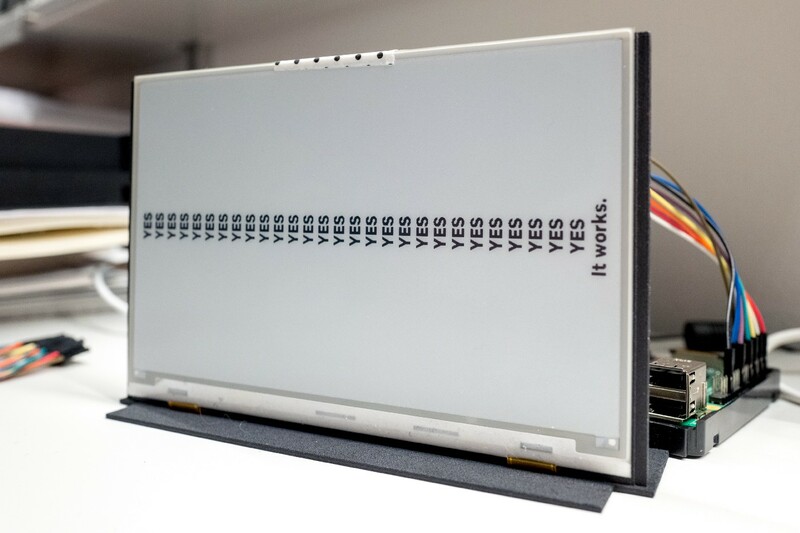 The Very Slow Movie Player is an e-paper display attached to a Raspberry Pi board; you load a movie onto the latter, and it processes and displays a single frame at a time, updating the screen with a new one every two and a half minutes. That adds up to 24 frames per hour, as opposed to the usual 24 frames per second — 3,600 times slower than normal viewing, and producing a (perhaps) 7-or-8,000-hour tableau you view over the course of a year or so. He compares it to the work of Bill Viola, whose super-slow-motion portraits are similarly impossible to watch from start to finish (unless you’re very, very patient) and therefore exist in a sort of limbo between motion picture and still image. The image itself leaves something to be desired, of course: e-paper is essentially 1-bit color depth — black and white. So the subtleties of color you might see in any film, color or no, will be lost to dithering. The way it’s done helps highlight the contrasts and zones of a scene, though if you really want to appreciate Rear Window as cinema, you can watch it any time you like. But if you want to appreciate it as a process, as a relationship with time, as an object and image that exists in the context of the rest of the world and your life… for that, you have the Very Slow Movie Player.